All the leaves are down from our backyard bur oak- finally. We've spent the last four Sunday afternoons blowing, raking, and hauling leaves. Beautiful picture and caption. That purple sky is amazing! 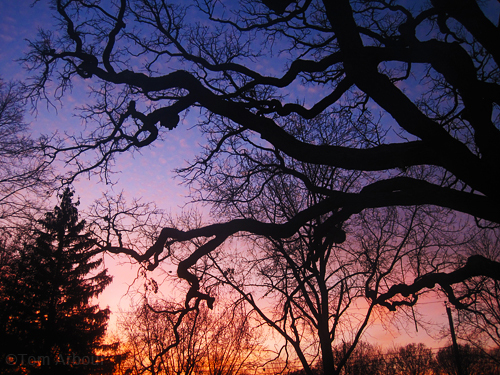 I love bare trees, especially at sundown. I wonder how snow would look on those branches with the purple backdrop.